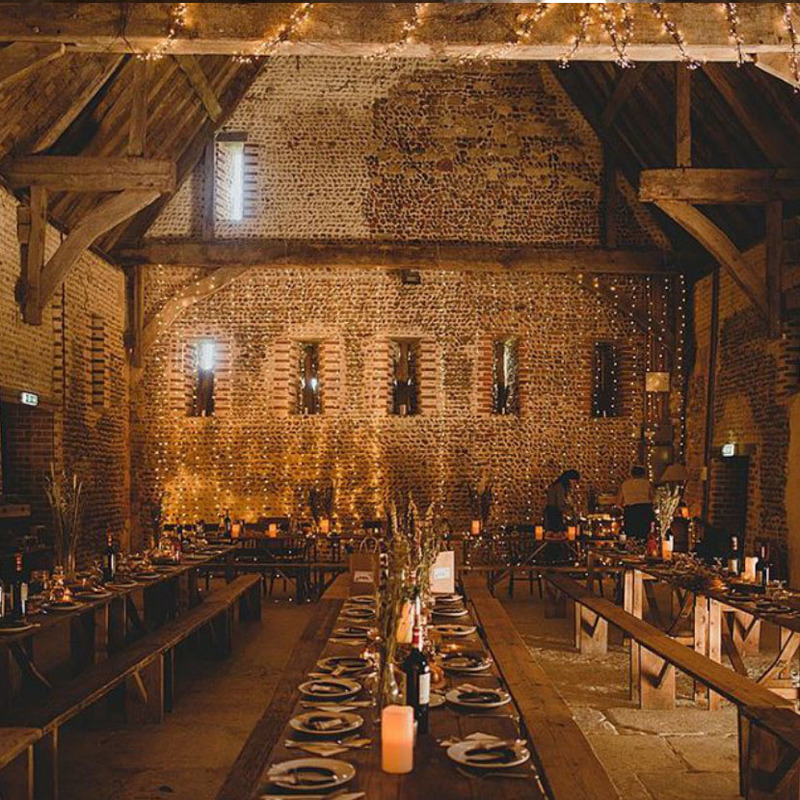 Welcome to Waxham Great Barn - a beautiful, licensed wedding venue that offers a unique blank canvas for you to create the wedding of your dreams. 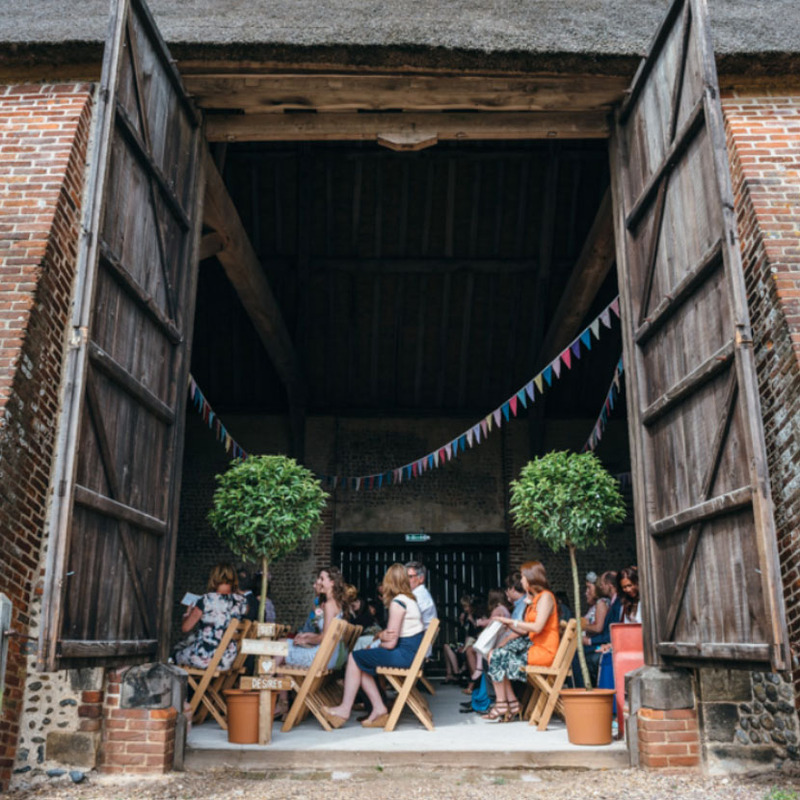 This stunning, thatched 400-year-old barn is the perfect backdrop to your big day no matter what style of wedding you are hoping to create. 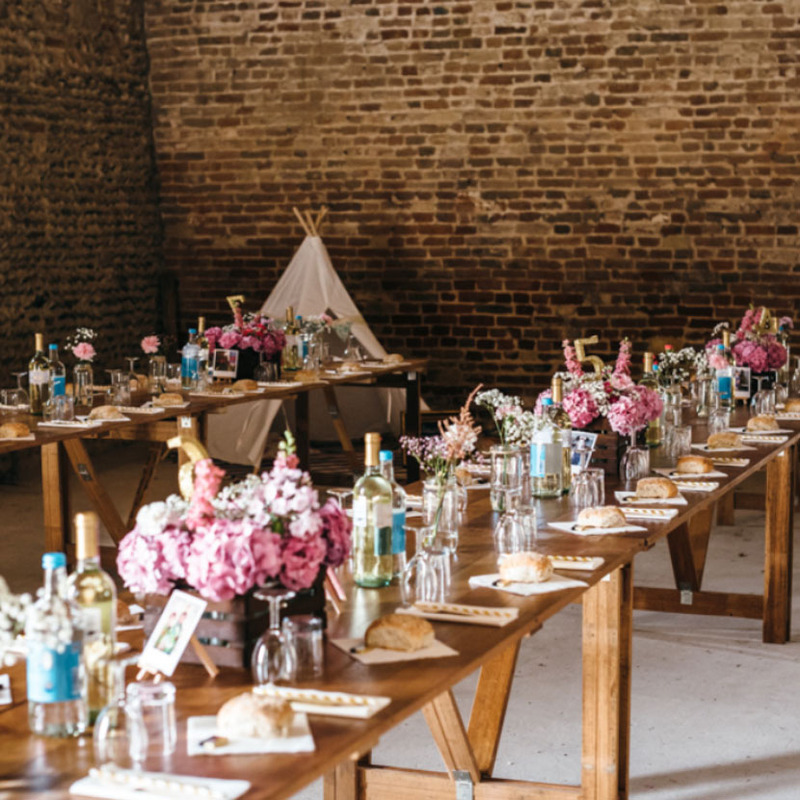 Whether you fancy crafting a beautiful rustic shindig, an amazing bohemian wonderland, an authentic vintage affair or simply have a beautiful space for one heck of a party, we offer it all! Outdoor space - a large shingle courtyard which is perfect for welcome drinks, garden games, food trucks or whatever else your heart desires! 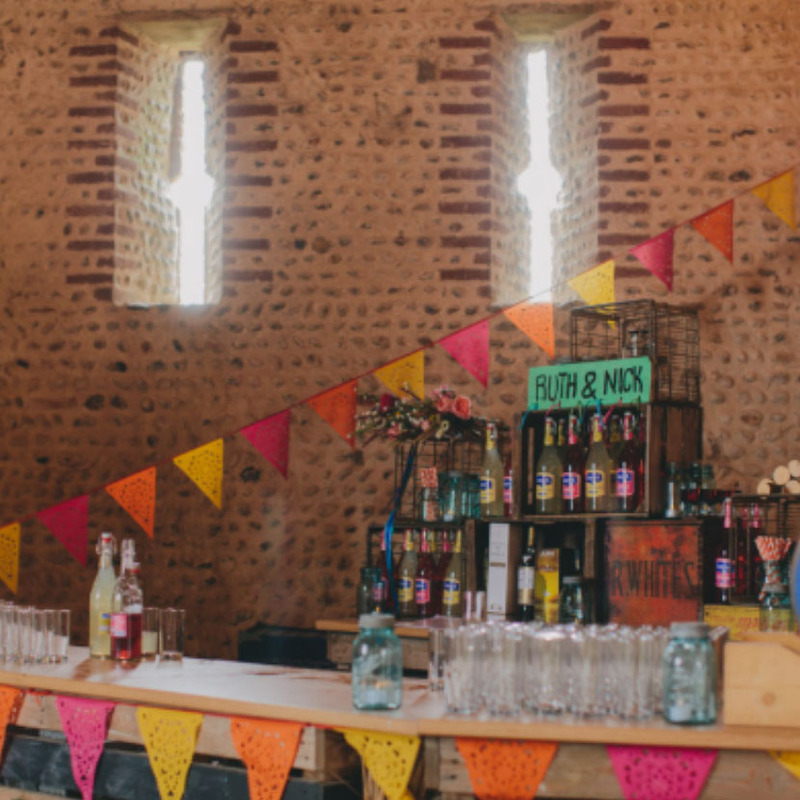 We want you to have a fantastic time and celebrate your wedding or event in style! Please find the answers to our most frequently asked questions below. If you need any further information, please just ask! 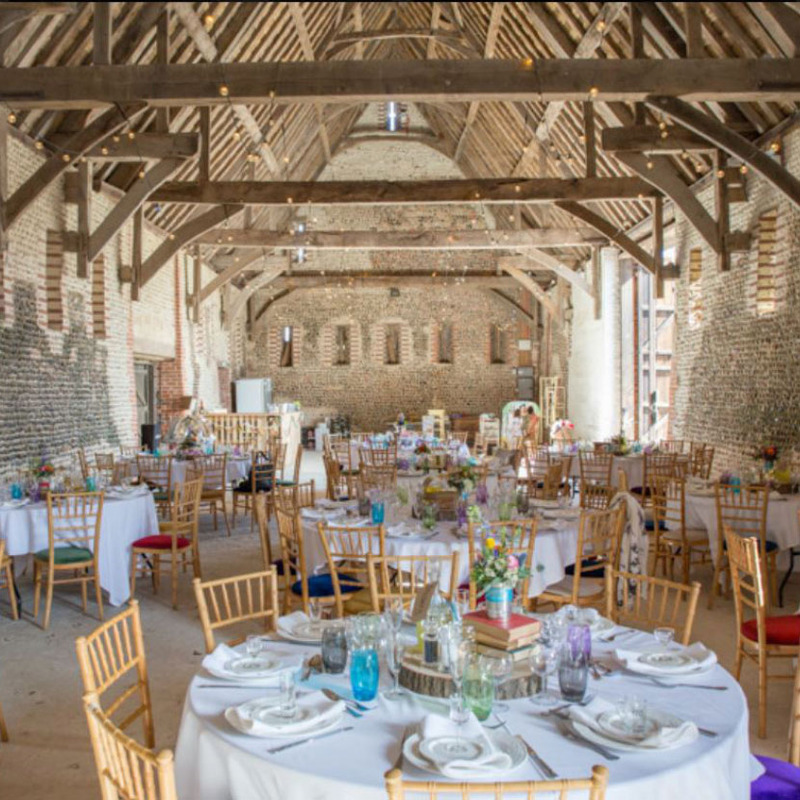 How much does it cost to get married at Waxham Great Barn? 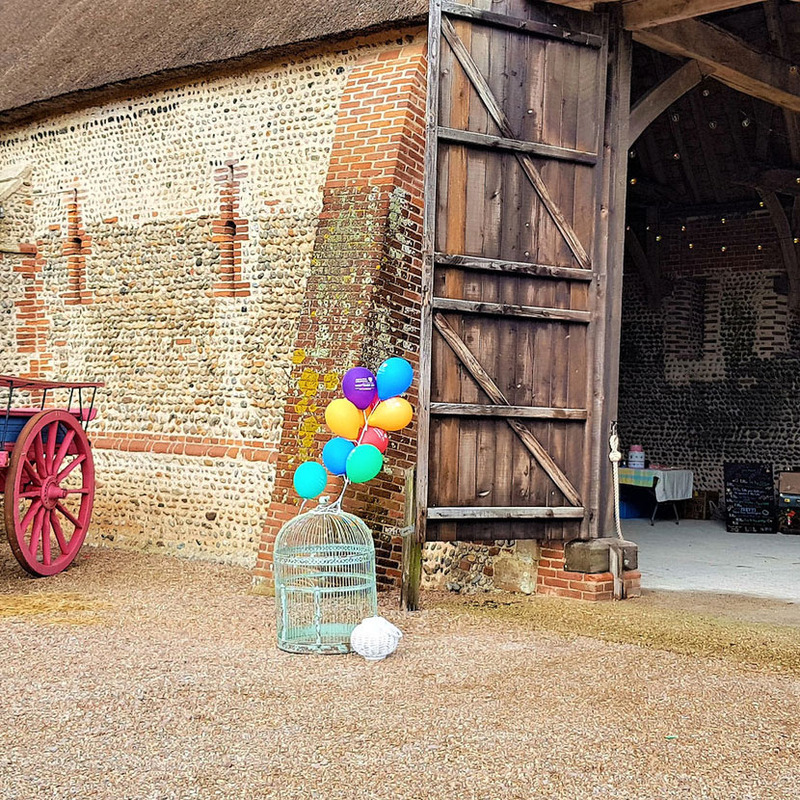 We charge £1,950 for the hire of the barn which includes 6 hours of setup time the day before your wedding and 4 hours takedown the day after your wedding. Yes, a non-refundable deposit of 25% of the total booking value will be required to secure the booking. Yes, we will require a £600 security deposit to be paid no later than 1 week before your wedding or event. Assuming the barn is left in the correct condition, this will be returned to you within five working days. We are licensed to have 150 guests for your ceremony. We are then able to host up to 230 people from this point onwards. Do we have to book the registrar or celebrant? 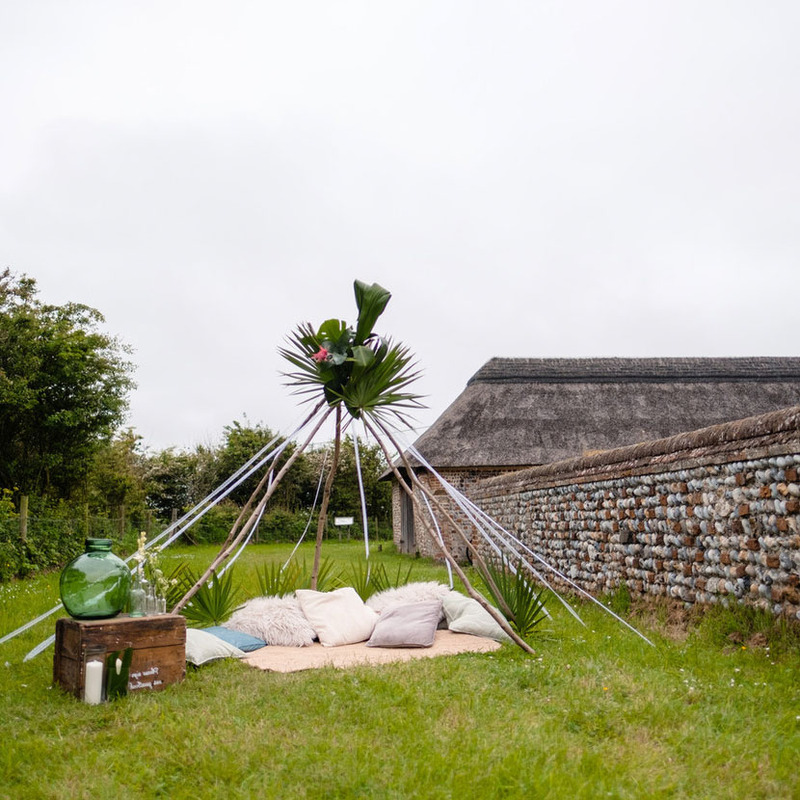 Yes - it is your responsibility to book your chosen ceremony type. As a dry-hire venue, we allow you the freedom to choose your own suppliers. 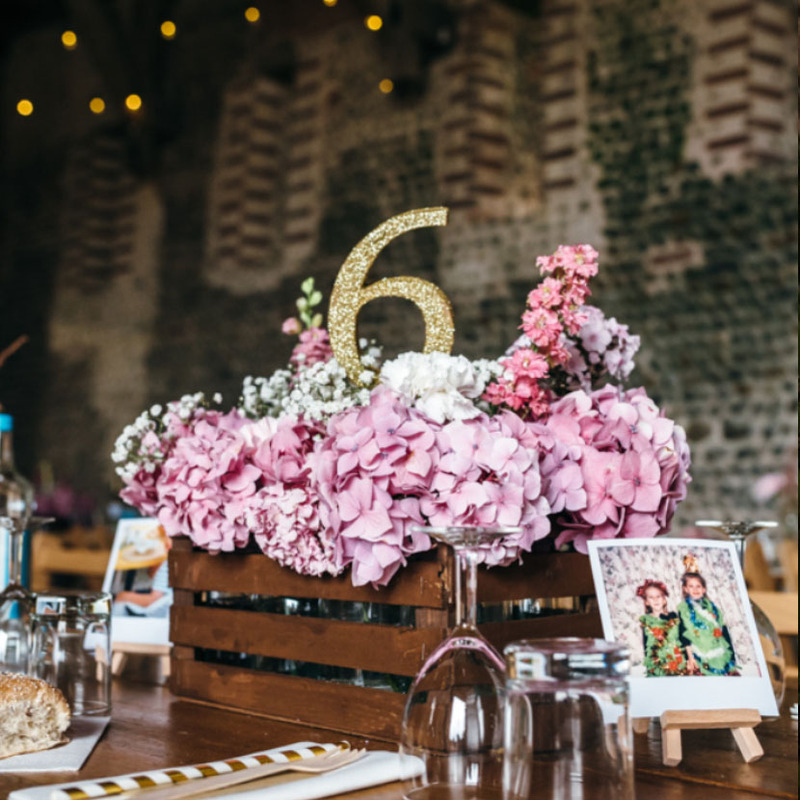 All suppliers must provide their public liability insurance and PAT testing certificates (where appropriate) no later than 14 days before your wedding. Suppliers who have not provided this documentation will be unable to attend site. What time do we have to finish our party? All weddings and events will finish at midnight without exception. We recommend you arrange transport and ensure your guests pre-book taxis as this isn't easy to do on the night! 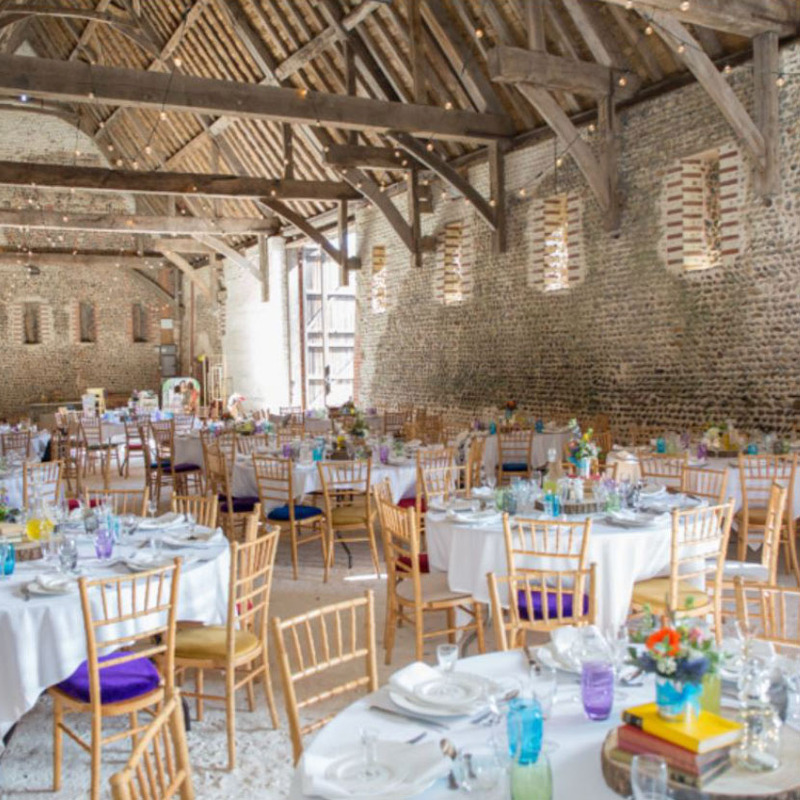 Managed by Norfolk Historic Buildings Trust, Waxham Great Barn is the perfect, unique space to host your wedding or event. 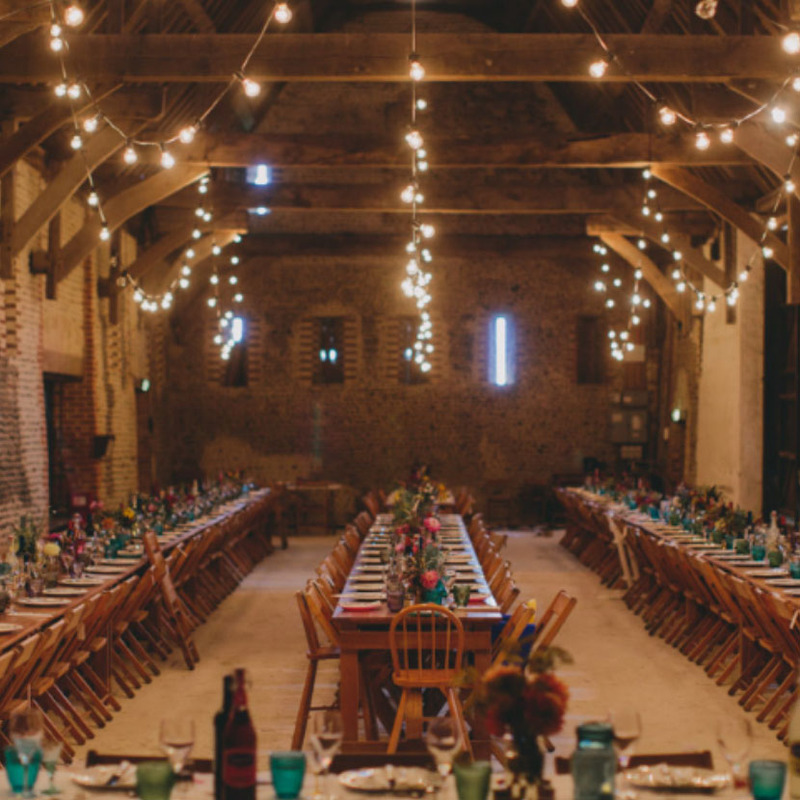 Fancy finding out more about planning your dream wedding at Waxham Great Barn? 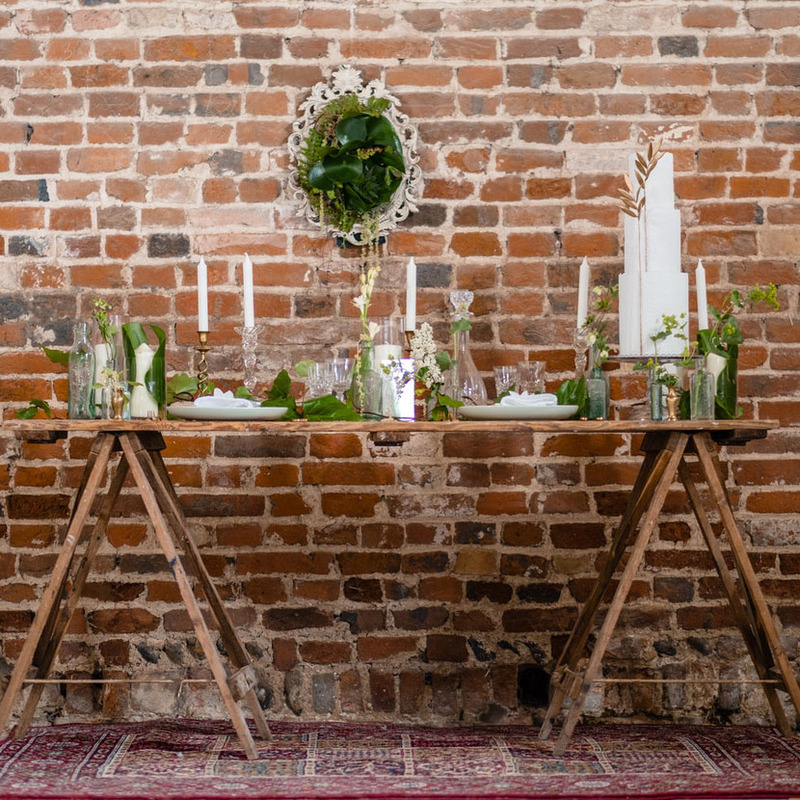 Why not arrange to pop over for a viewing and chat with our team about your wedding ideas - we would love to see you! 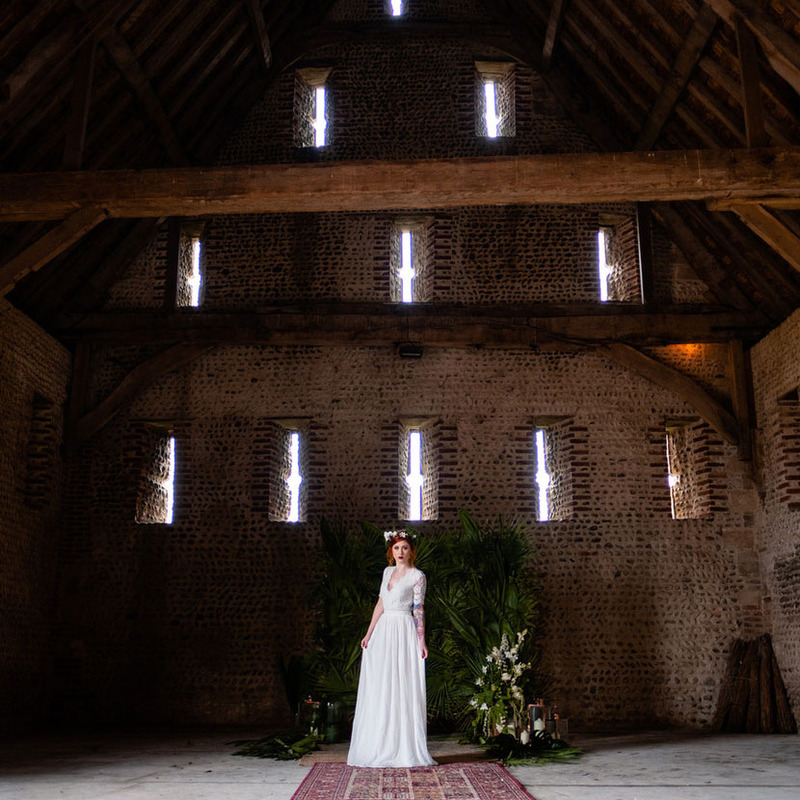 © 2019 by Waxham Barn Weddings.